Launched in 2013, our Weekly Lottery is just £1 to play each week and you have great odds of winning! There are 100 cash prizes each week to be won from £5 to £1,000! All players are automatically entered into the Quarterly Super Draw, with a top prize of £5,000! You can support Downham Market Adoption Centre by selecting us in the donation options when you sign up in person, by telephone 01628 825 928, online at http://www.cats.org.uk/get-involved/support-us/lottery/or download your own lottery form here. Each draw will take place on a Friday and winners list will be available online on the following Monday. The list is published at www.cats.org.uk/lottery-winnersor by calling 01628 201 265. 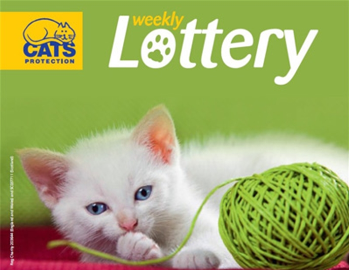 Find out more information about the Weekly Lottery here.